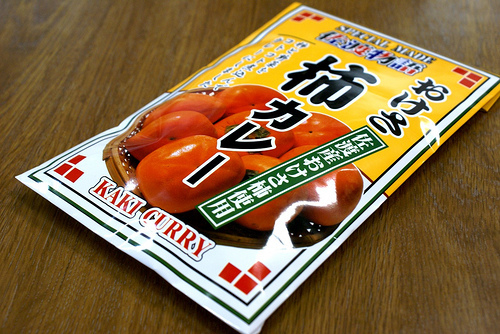 The most common gotouchi product might be retort-pouch curry; it is said there are over 320 kinds of gotouchi retort curries in the country. 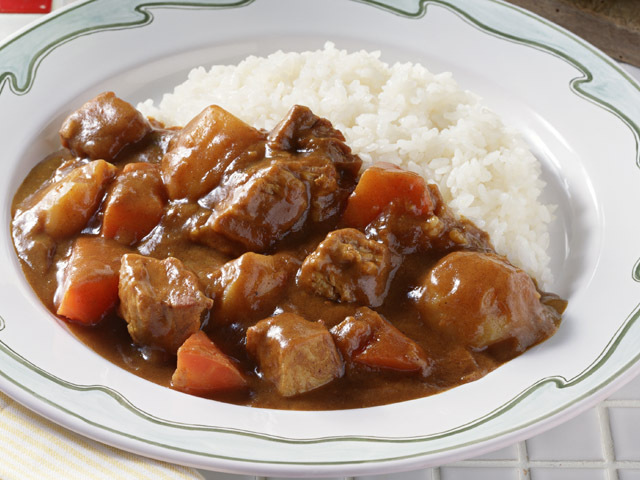 To explain what retort curry is for those who are not familiar, it is cooked curry sauce in a single pouch, which can be heated in boiling water or microwave. 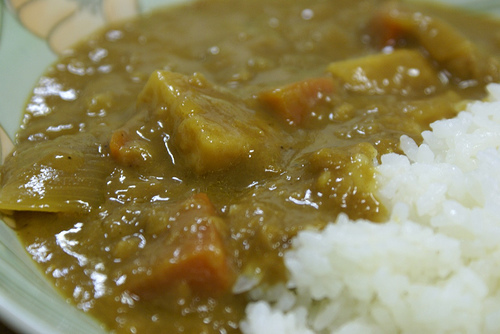 Here are some examples of gotouchi retort curries. Japanese “kaki” persimmon curry from Sado, Nigata Prefecture. A couple of whole dried kaki are in the curry sauce. The person who ate this said the texture of the kaki was like corned beef. 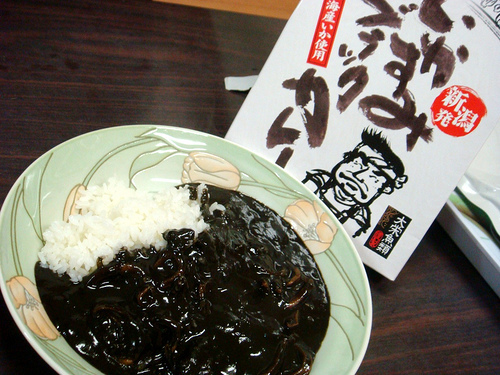 The next one is squid ink curry from Nigata Prefecture. Only some sliced squid are in the sauce. It has strong squid flavor but delicious as seafood curry. 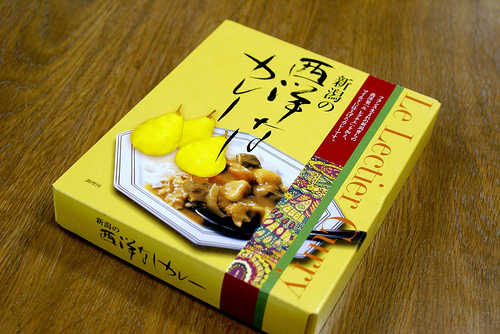 Le Lectier pear curry from Nigata Prefecture. Pear, carrot, potato, onion, and beef in the sauce. It tastes fruity but not so strange. 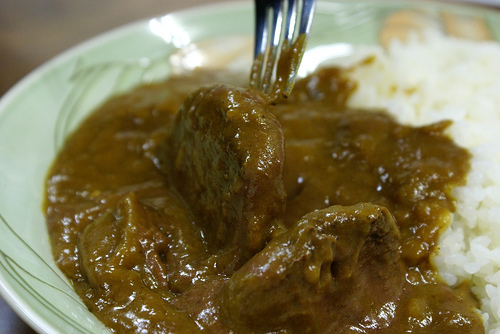 The price range of gotouchi retort curry is 300 yen to 600 yen (US$3.60 to US$7.00). It depends on the ingredients. For example, some brand beef curries are expensive but they taste good and cheaper comparing to the same food at restaurants. Suika-wari — Japanese Smashing Watermelon Game!